There were lots of repeat MCQ's in DNB Pediatrics June Exam 2017, about 60, Each MCQ in theory examination is important; MCQ’s alone can make or break one’s result. Probable answers marked with asterisk, should be checked again. MC presentation of malrotation of gut? Vit D in pregnancy causes? Calculate Odd’s Ratio – straight forward question was asked. 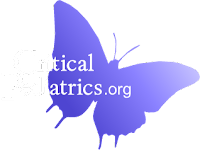 Hypospadia/epispadias in a healthy child – t/t at what age?